So, if you're a Project Runway fan (as all of Fashion America should be) then you will be blown away by this news! 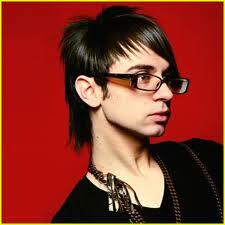 It was just announced that Christian Siriano wil be headlining Thursday night's runway shows at Nashville Fashion Week!!! You will remember Christian for letting you know if something was 'fierce', 'ferosh' or a 'hot mess'! And who could forget that (as he called it) "bi-level fashion hawk" mane that he sported oh so well. Christian competed on Project Runway, Season 4 and walked away as the winner, with prizes like a fashion spread in Elle magazine, a 2008 Saturn and $100,000 US to start his own label! Since then, his designs have been worn by many celbs: Rihanna, Mena Suvari, and Heidi Klum, just to name a few. He's interned for designer greats such as Vivienne Westwood, Alexander McQueen, and Marc Jacobs. 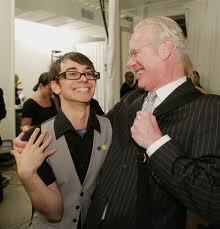 In a March 2008 interview, Project Runway mentor Tim Gunn stated of Siriano, "I really believe he is this generation's Marc Jacobs, I really do. We have found America's next great fashion designer...I'm confident." Well my friends, this is your chance to witness America's next great fashion designer right here in Nashville, by purchasing your Nashville Fashion Week tickets here.